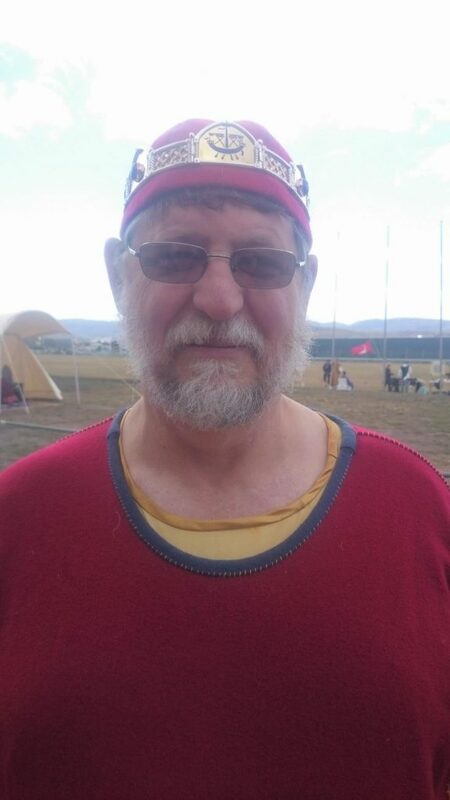 The Baronial Herald is Baron Hrolf Herjolfssen (Cary Lenehan). You can email him on ✉ herald@ynysfawr.lochac.sca.org. Heralds look after three things: announcements, names and armory. Armory in this context means heraldic arms, which are sometimes inaccurately called “coats of arms” or, even worse, “family crests”. The SCA is a heraldic jurisdiction with its own College of Arms, led by the Laurel Queen of Arms. It registers the heraldry for all twenty kingdoms. Baronial Heralds have specific titles. The Baronial Herald for Ynys Fawr has the title of Dromond Herald. A dromond is a type of ship, like the ones on our baronial arms. The Kingdom Herald has the title of Crux Australis Principal Herald. The current Crux Australis is Lady Amanda Martel.